The world class children’s ministry of Destiny KidWorld is a place where learning, faith and imagination go hand in hand. KidWorld ministers to children on their level through animated teachings, praise and worship, puppets, games and videos. Let us surround your little ones with unconditional love in our nursery. We use songs, stories and crafts to teach our babies and toddlers about God’s love. Allow your school- age children to enter a place with energetic praise, hilarious puppet skits, fun filled games and our 28 foot Playscape! Your children will never get bored. 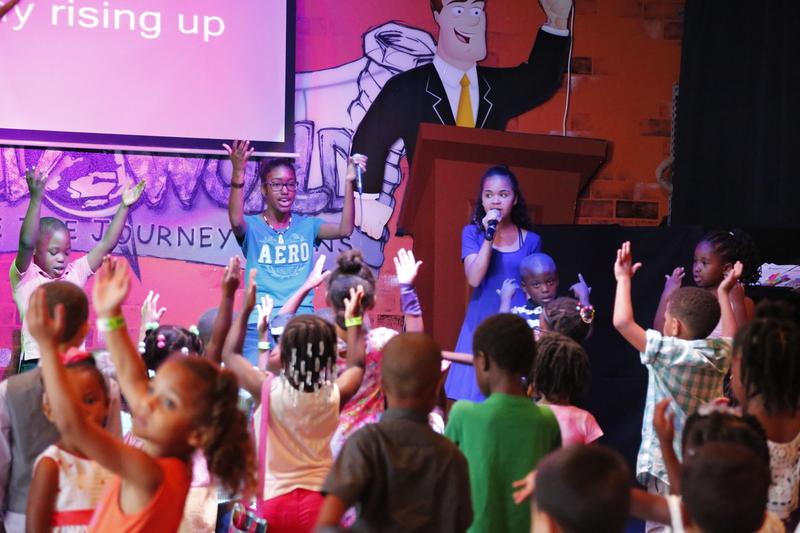 In KidWorld we make learning about God fun!